We have a very experienced cook at The Thorns who is keen to develop new and exciting menus. Food is an important aspect of daily life, not only do we strive to make our menus well balanced, nutritious, appetising and well-presented, but we check the residents are happy and we provide choice, mealtimes are something to look forward to. 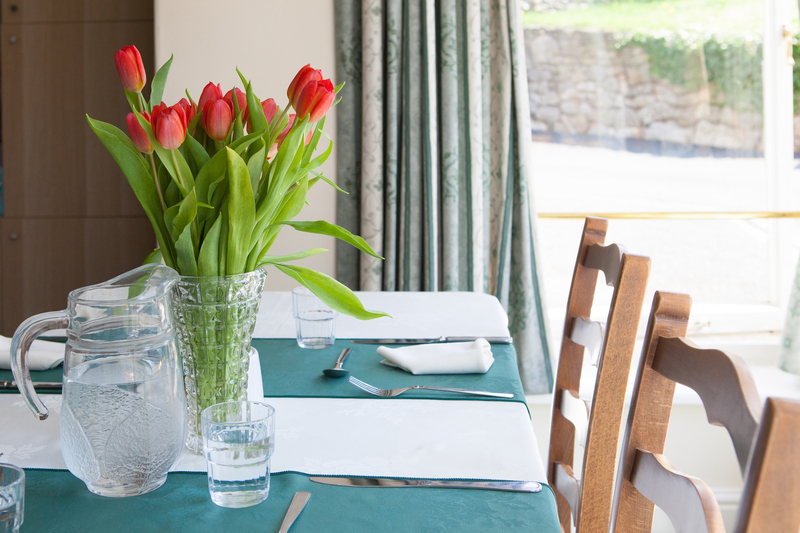 We have a welcoming dining room and the presentation and first impressions are important to us. This is often a sociable experience, whereby residents can sit with their friends and enjoy a home cooked meal, we also accommodate relatives who wish to share this experience. Breakfast is served either in the persons own room or in the dining room dependent upon choice. We offer tea or coffee, fresh juices, fresh fruit, toast and condiments, cereals and we also provide further options if required, including diabetic choices and vegetarian options. Vegetables and meats are locally sourced. We have an attractive menu board to display meals each day, this is very popular with the residents because it promotes independence and they can take the time to view the menu without having to ask the staff on duty. We provide a two course home cooked meal and a desert. At dinner we provide either a hot or cold option. Snacks are available throughout the day with a choice of various hot drinks, fruit juices or water. Residents can also enjoy their favourite tipple. On special occasions, we have themed evenings for Burns night, Valentine’s Day, Chinese New year and an extra special Birthday Buffet.